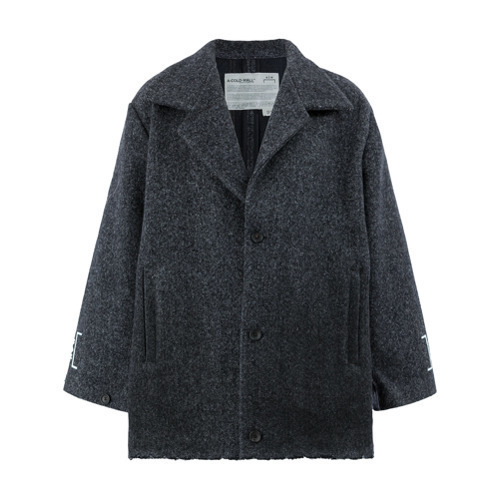 Rock a charcoal herringbone overcoat with black dress pants for incredibly stylish attire. 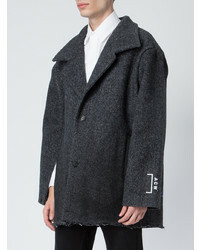 If you prefer relaxed dressing when it comes to your personal style, you'll love this simple combination of an A-Cold-Wall* herringbone coat from farfetch.com and blue ripped skinny jeans. And if you want to instantly up the style ante of your look with one piece, add white leather low top sneakers to the equation. 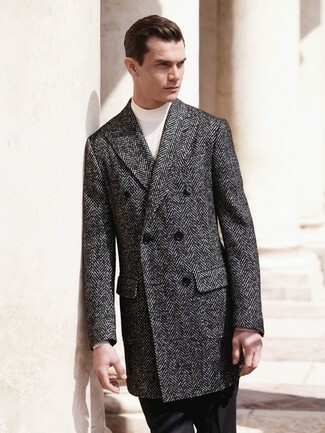 Tap into refined, elegant style with an A-Cold-Wall* herringbone coat and beige wool dress pants. 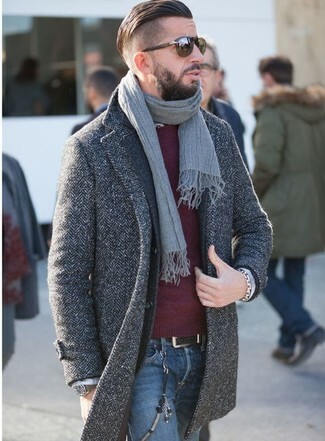 Throw in a pair of black leather chelsea boots for a more relaxed feel. 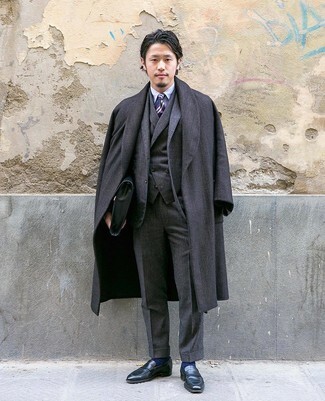 For a nothing less than incredibly stylish getup, dress in an A-Cold-Wall* herringbone coat and a charcoal three piece suit. For something more on the daring side to finish off this outfit, choose a pair of black leather loafers. So as you can see, being a dapper dude doesn't require that much effort. 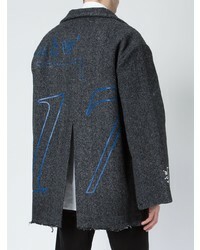 Just pair an A-Cold-Wall* herringbone coat from farfetch.com with blue jeans and you'll look wonderful. 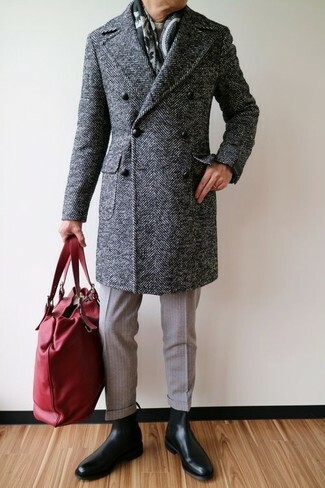 Try pairing a charcoal herringbone overcoat with grey wool dress pants for a sharp, fashionable look. Contrary to what you might believe, being a dapper dude doesn't take that much time. 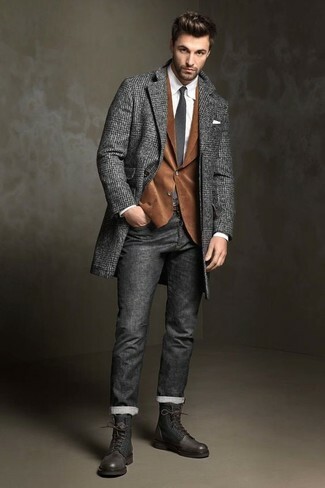 Just pair a charcoal herringbone overcoat with charcoal jeans and you'll look incredibly stylish. As for the shoes, make dark brown leather casual boots your footwear choice. 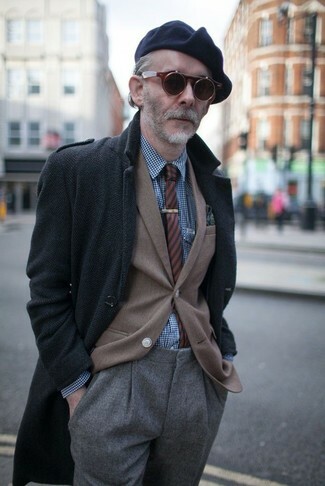 Contrary to what you might believe, looking stylish doesn't require that much effort. 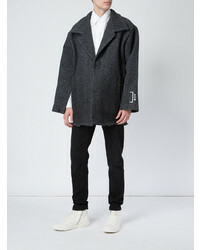 Just team an A-Cold-Wall* herringbone coat from farfetch.com with black chinos and you'll look savvy. Tan suede work boots will add more playfulness to your getup.